I have a problem with the action replay. I use the fs-uae launcher and already configured all f*ckin config files , I have the all action replay rom (I already used in WinUAE) but here, I’m not able to use it. The right path in the config keyboard mapped but does not work. I pressed the F12+A but nothing happened. You need to provide the path to the ROM file, not just to the directory where it is stored. I’ve a question concerning customs keyboard mapping. I couldn’t find the ‘#’ character with the default settings of FS-UAE (Linux Mint 17.2 Xfce). Unfortunately I have a small Lenovo X130 (Laptop) with German layout, and I also couldn’t figure it out how to map it. Best for me would be to map it on “Pos1” key since this key is mapped redundantly to ‘num_pad_)’ by default – so It would be free for remapping. Of course there is no such ‘keyboard_key_pos1’ listed also the ‘action_key_hash’ is not existent. What is meant by ‘action_key_70’ – can’t find the raw key-code but the ascii for ‘p’? BTW. : Thanks for the wonderful FS-UAE – I now finally can switch completely to Linux. Decent Amiga-emulation was the only reason to stay on Win. Great! Hi, what key you need to press in order to get the ‘#’ symbol is dependent on your keyboard layout settings in Workbench. If you haven’t changed it, your Workbench is probably configured to use US keyboard layout, in which case you need to look at a picture of a US Amiga keyboard in order to figure out what key to press: http://www.amiga-games.com/img/AMIGA/AMIGA_4000/amiga_4000_25_large.jpg. As you can see on the picture, # is typed by pressing Shift+3. There isn’t an action_key_hash because the key names are derived from English keys, and there is no dedicated hash key. On the other hand, if you have changed your keyboard layout in Workbench to German, you would normally need to press the key next to Return, as seen in this image: http://www.bigbookofamigahardware.com/bboah/media/download_photos/a4000keyb_german_big.jpg. But, Amiga keyboard also have one more key on the number row than PC keyboards have, and in the latest FS-UAE version, the “backslash” key from the Amiga number row has been moved to the key next to Return, and instead, you need to press the “Insert” key on your keyboard to get the # symbol (again, if you have configured a German Amiga keyboard). (action_key_70 refers to the key with Amiga scan code 0x70, which I do not think exists on original Amiga keyboards). Great, thanks – that’s all I need for now I’m happy! If you want to have this on the key next to the Return key, you can change “Host Key BACKSLASH” in FS-UAE Launcher settings to “Amiga Key 0x2B” (in the latest beta/dev versions). But if so, you should also move “Amiga Key Backslash” to for example “Host Key INSERT”. Hello, is it possible to map a keyboard key to a mouse button? I would like my right mouse button to function as the P key. Thank you! Hi, it is not yet possible to assign actions to host mouse buttons. This is only possible for keyboard and joystick input. I have added an enhancement issue at https://github.com/FrodeSolheim/fs-uae/issues/66. I’m trying to map the spacebar to my joypad for Flashback so I can get the gun out. Thanks for the reply Frode. Neither of those work. Which config file should I be using? If you are using FS-UAE Launcher, you should put it in Settings -> Advanced. Do you have any ideas? I am using the latest Dev version. Hi, it is the other way around. If you want W on your host keyboard to control the Amiga cursor up key, you need to use keyboard_key_w = action_key_cursor_up. Just remember that the “third joystick” isn’t a joystick at all as far as the Amiga is concerned (you have just mapped host joystick buttons to Amiga keyboard keys). So your joystick_port_2 / joystick_port_2_mode doesn’t do anything useful in this case and can/should be removed. The options joystick_port_2/3 are for use with games which supports up to 4 Amiga joysticks via a parallel port adapter. Hello Frode, is there a way to assign a button with autofire? 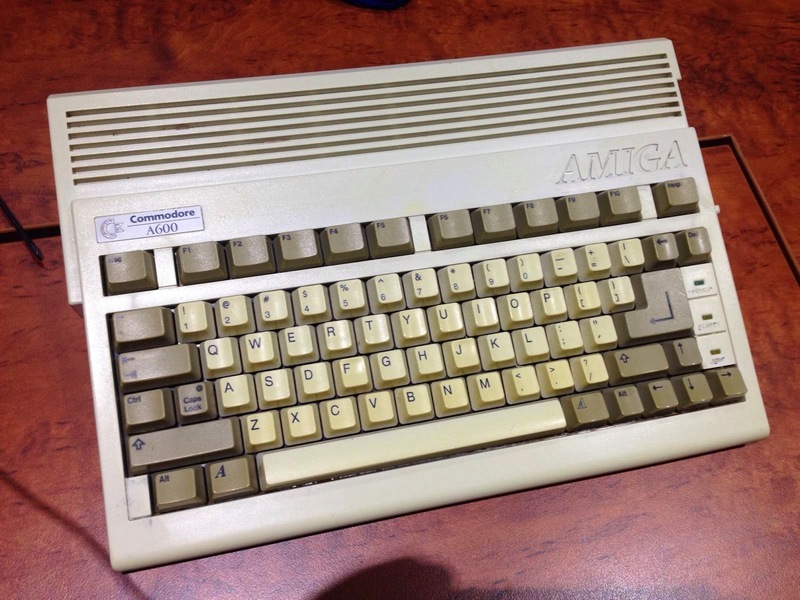 Hi, a bit off-topic for FS-UAE input mapping page if the question is about a real Amiga 600. Anyway, if what symbols you get when pressing keys do not match what is written on your real Amiga keyboard, then the problem is probably just that you’ve got an incorrect keymap activated in Workbench. For example, perhaps your WB keymap is for a US keyboard, while you have another national keyboard variant. If Workbench thinks you have a US keyboard, refer to this image for symbols: http://3.bp.blogspot.com/–tiRijbpC6A/U0TWXqXJbII/AAAAAAAAFLM/A6QQVwdVXgU/s1600/$_573.jpg (image of an US A600, I think). in advanced settings and custom configuration to see if I can remap the keyboard. Nothing works. I’ve also tried this on a PC as well as a Mac. Still doesn’t work. I don’t understand what I’m supposed to do. Ah, thanks. I didn’t understand that “action” was a required part of the name. Which will obviously cause some confusion. Thanks again for the help – everything appears to be fine now..
No, the action_ prefix is included in the documentation too. I have put the list of available actions on its own page due to the large number of actions. action_key_np_8 is listed on that page along with the other possible actions. Less chance of accidentally restoring state 1 that way. Sorry, there’s no such functionality at this time. It’s a good idea though, perhaps it will be possible in the future if I reword the input system.